The Tauheedul Islam Girls’ High School pupils have been able to raise over £3,000 for the homeless charity Nightsafe through their Enterprise Week fundraising. This is the biggest donation the charity has ever been able to receive from a school. 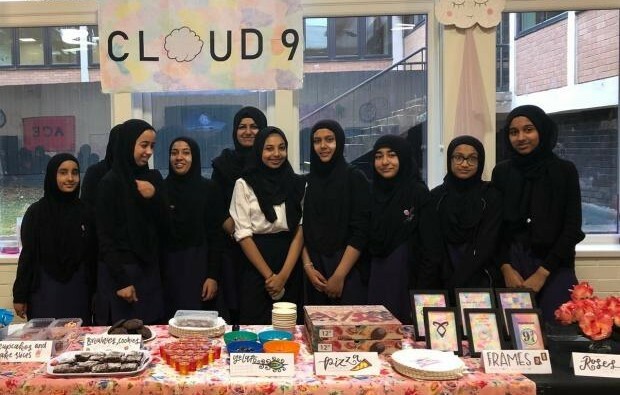 In the school’s annual Enterprise Week, the year ten pupils were able to set up retail businesses that donated all profits to the Blackburn charity. The Blackburn charity supports young people between the ages of 16 and 24 who experience homelessness. The funds were raised to help Nightsafe provide a room for emergency accommodation for whoever needs it. A total of ten teams had competed against each other to raise profits for funding an investment of £50. Key business figures including Ilyas Munshi (Commercial Director of Euro Garages) and Ruth Rathmell of Truth Creative came to motivate the pupils for their noble cause. Each team devised a business plan describing how they would make their profits. And at the end, the students formulated company reports and presented them to a panel of school staff along with Enterprise Advisor Kay Vaughan of Inspiration.